Wi-Fi enabled smart programmable thermostats connect to the Wi-Fi network and can be used to control temperature, from anywhere in the world. 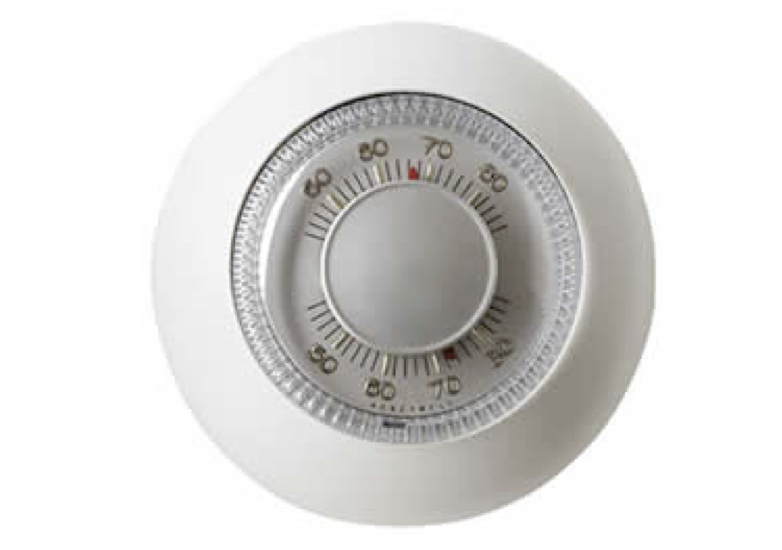 These thermostats can learn from your habits or can be programmed to suit your requirements. Wi-Fi enabled smart programmable thermostats help save energy as well as money. We have listed below the top 5 best Wi-Fi enabled smart programmable thermostats for your home. 1. 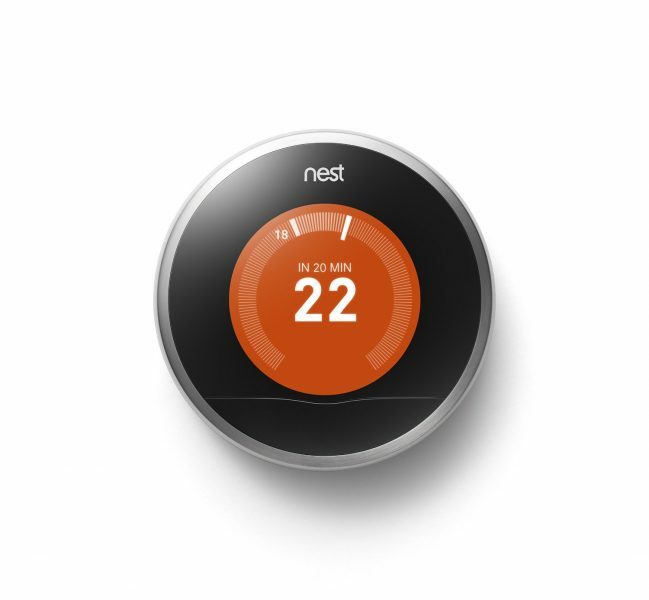 Nest Learning Thermostat: The Nest Learning Thermostat is the best WiFi enabled smart thermostat. The Nest Thermostat is a truly smart thermostat that doesn’t even require you to program it. True to its name, the Nest Learning Thermostat learns and programs itself. The Nest Learning Thermostat learns what temperatures you like, turns itself down when you’re away and can be controlled from anywhere over Wi-Fi. You can also view your detailed energy history on the mobile and web app. 2. Ecobee3 Wi-Fi Thermostat with Remote Sensor: The Ecobee3 Wi-Fi Thermostat with Remote Sensor is a very good Wi-Fi enabled smart thermostat that lets you control temperature in multiple rooms. 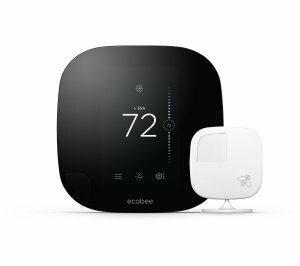 So, if you have more than one room, the Ecobee3 Wi-Fi Thermostat is a great choice. The Ecobee3 Wi-Fi Thermostat comes with 1 free remote sensor and you can have up to 32 remote sensors. The Ecobee3 remote sensors know which rooms are occupied and they deliver right temperature to the occupied rooms. The Ecobee3 Wi-Fi Thermostat main unit is a 3.5 inch full-color LCD touchscreen. 3. Honeywell WiFi 9000 Color Touchscreen Thermostat: If you need a good Wi-Fi enabled programmable thermostat, the Honeywell WiFi 9000 Color Touchscreen Thermostat gets the job done. 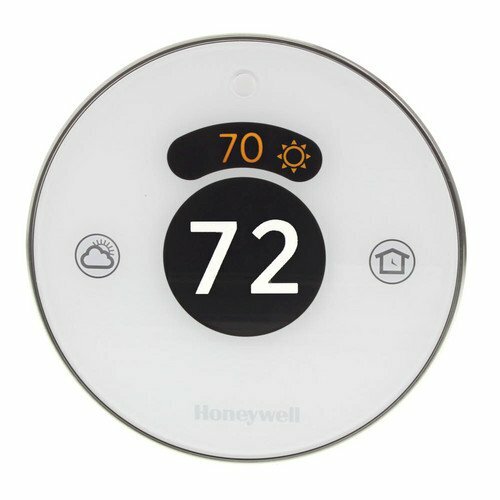 The Honeywell WiFi 9000 Color Touchscreen Thermostat connects to your home Wi-Fi network and you can access the thermostat from anywhere in the world through a smartphone, computer or tablet device with Honeywell’s Total Connect Comfort Service. 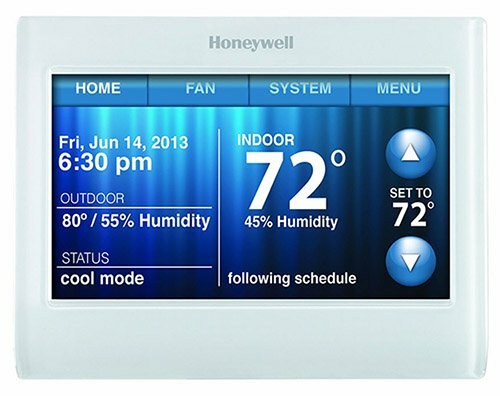 Honeywell WiFi 9000 Color Touchscreen Thermostat is 7-day programmable. 4. 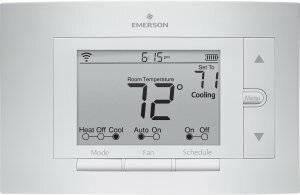 Emerson UP500W Sensi Wi-Fi Thermostat: The 7-day programmable Emerson UP500W Sensi Wi-Fi Thermostat connects to your Wi-Fi network and can be controlled from a computer or iOS/Android device. 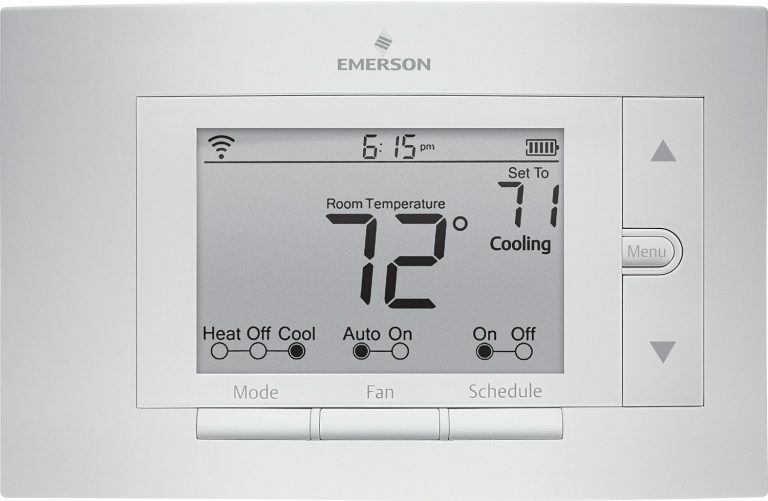 The Emerson UP500W Sensi Wi-Fi Thermostat is easy to install and the Sensi app is easy to use. The Sensi app displays current room temperature, current room humidity, local weather conditions etc. and lets you control multiple thermostats. 5. 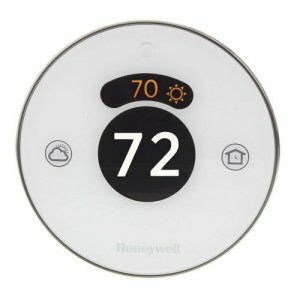 Honeywell Lyric Wi-Fi Enabled Thermostat: The Honeywell Lyric Wi-Fi enabled smart thermostat can be controlled from anywhere in the world with a smartphone through the Lyric app. With geofencing, the Honeywell Lyric uses the smartphone location to determine whether the homeowner is at home or not and regulate temperature as required. These are the top 5 best Wi-Fi enabled smart programmable thermostats for your home. thanks for this great and informational post . I have Honeywell Wi-Fi Smart Thermostat . Honeywell Wi-Fi Smart Thermostat is easy to setup, easy to use fully featured, reliable system for controlling the temperature in your home or business.